The article How Chongqing and Singapore are linking China to South East Asia was written by Nicole Jao for TechNode. With a population of over 30 million, Chongqing has been the fastest growing city in China for ten consecutive quarters and is one of China’s four direct-controlled municipalities—Beijing, Shanghai, and Tianjin are the other three. The “Mountain City” is not only the economic center of Western China, it has emerged as a logistics hub for the Belt and Road Initiative that links up Western China and its neighbors in South East Asia. 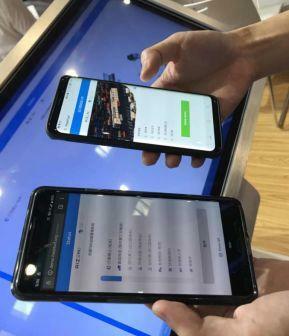 From August 23 to August 25, Chongqing held the first Smart China Expo which attracted more than 500 local and international tech companies to participate, including Qualcomm, Microsoft, and Google. Singapore, the biggest foreign exhibitor at the three-day tech expo, had over 40 companies showcasing their innovative technologies. The Expo was the latest of many collaborative efforts between Singapore and Chongqing, the two have been actively working together in recent years on multiple fronts such as transportation, business, logistics, and technology. China’s ties with ASEAN countries has strengthened over the years, which has brought tremendous economic gains to both sides of the table. Many Chinese tech powerhouses, including Baidu, Alibaba, and Tencent (known collectively as the BAT), have also been making big moves into the lucrative markets in Southeast Asia which have a population of 650 million. The Chongqing Connectivity Initiative (CCI), a joint initiative between China and Singapore launched in 2015, plays a key role in boosting regional connectivity. A case in point is the Southern Transport Corridor, a rail-sea network that connects Chongqing and the Qinzhou Port in Guangxi Zhuang Autonomous Region, giving the western Chinese city direct access to the sea. The new corridor has reduced the cost and freight time to move goods to and fro between the western city of China and Singapore and consolidated Chongqing’s strategic importance as a hub that connects China with major economies in Southeast Asia. There is a lot of untapped potential here: China is the second largest market for ICT. ASEAN is not only expected to become the fourth largest economies in the world by 2050 but has a young burgeoning population driving its growth in internet and mobile phone penetration, Goh Chok Tong, Emeritus Senior Minister of Singapore, said during the opening ceremony of the Smart China Expo. EMS Goh noted that tech companies in Singapore and Chongqing can and should leverage each other’s strength, mentioning that joint projects, including in smart city and smart tourism, are well underway. A day before the opening of the tech fair, multiple MoUs were inked between Singapore and China-based tech companies. Chief Executive of Singapore’s Infocomm Media Development Authority (IMDA) Tan Kiat How said in the interview many young enterprises need to jump through many hurdles to enter the Chinese market. FreshTurf was one of the Singapore-based companies that forged a new partnership. The company is bringing its blockchain parcel delivery system to Chongqing and the rest of China with help from Rizon Technology—a joint venture between Singapore’s Y3 Technologies and Chongqing Transport Group. The founder of FreshTurf Jarryl Hong told TechNode that recent initiatives have helped iron out many barriers that they would have to encounter such as finding business partners and building up local business networks. The company has been working with IBM to build up a network of storage lockers for parcel delivery and shipping throughout Singapore. Singaporean fintech startup DC Frontiers, an exhibitor at the Expo, also plans on expanding their business information portal service to China through a partnership with Chongqing-based startup SocialCredits. Handshakes, developed by DC Frontiers, is a solution for businesses from both sides to find local partners. The portal, which recently received an innovation award from the Indian government, provides business intelligence and insights to companies to help them better understand the potential partners using data from official registries. Tan said “the flow of businesses, the flow of people, the flow of ideas is really a key facet of the international marketplace”–that is the thinking behind the newly inked MoUs between China and Singapore-based companies. As an economic center, Chongqing can offer Singapore the connection to the entire Chinese market. It also gives Singapore-based companies more exposure to Chinese capital and business opportunities. Tan believes that there are many complementary strengths that the two economies can leverage. As the international hub for businesses and financial institutions, Singapore can help China gain a foothold in the lucrative markets in Southeast Asia. Its tech capabilities and talent pool also bring in a new breath of innovation into Chongqing’s traditional industries—which is much needed as growth in traditional industries slows. More specifically, Chongqing’s established automotive industry and manufacturing base are looking to AI, big data and other emerging technologies to help sustain growth. Lastly, China unquestionably has booming tech industry, but as the local companies seek to venture outside the country, they need “a different mindset in how they think about products and services—customizing it not just for the Chinese audience but for a global audience.” This is where Singapore’s strength in financial services, logistics, as well as enterprise and B2B technologies fits in. The article How Chongqing and Singapore are linking China to South East Asia first appeared on TechNode. The post How Chongqing and Singapore are linking China to Southeast Asia appeared first on e27.